As we enter the 30th year since Sir Tim Berners-Lee’s proposal and subsequently the advent of the Internet, many industries from Travel to Shopping to Hospitality stand disrupted. In the last two decades, the likes of Amazon, Uber, Airbnb, Priceline and Netflix have overturned the old behemoths to become world’s most valuable companies. Despite speculations, from people who thought they would never buy anything from the internet, things have irreversibly changed. However, there is one industry where the internet has made relatively lesser inroads — Food. McDonald’s is still the world’s most valuable restaurant brand, followed by Dominos and Yum Brands. Surprisingly, no ‘real’ food company has leveraged the internet to build and create great food brands. And no, we’re not talking about food delivery companies such as Delivery Hero, Swiggy, Zomato, Deliveroo and the likes. They are doing a tremendous job of building the market out. Instead, we’re talking about actually creating and building food brands and cuisines completely on top of the internet. Back in 2015, I was privileged to have the opportunity to lead the super-talented UX and design team at Faasos (Now Rebel Foods). For those who don’t know — Faasos was born observing the frequent and much-asked question of “What’s for Dinner (or Lunch or even Breakfast) today?”. Not every day and every time you would want to cook your own food or go for a restaurant to eat out. And yet, it’s natural human craving to desire something different and unique to eat every day. Faasos had (still does!) one mission, to deliver you that answer in no-time with best possible ordering experience at the comfort of your home. Rebel Foods today is the largest internet restaurant company in the world, by a wide margin. Their revenues and # of restaurants both grew by 4X over the past 24 months, while the kitchen footprint only grew by 20% over the same period. 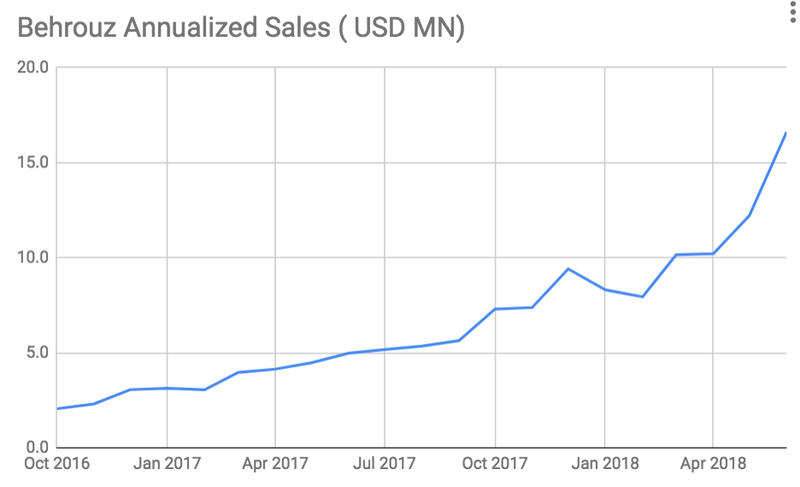 Rebel Foods was able to launch new cuisine brands with Zero additional capex and very minimal marketing across the top cities in India within 3 months of creating a new product every time — a recipe. They have zero location risk as each kitchen serves multiple brands (think a fully equipped, state of the art, 5-star hotel kitchen). 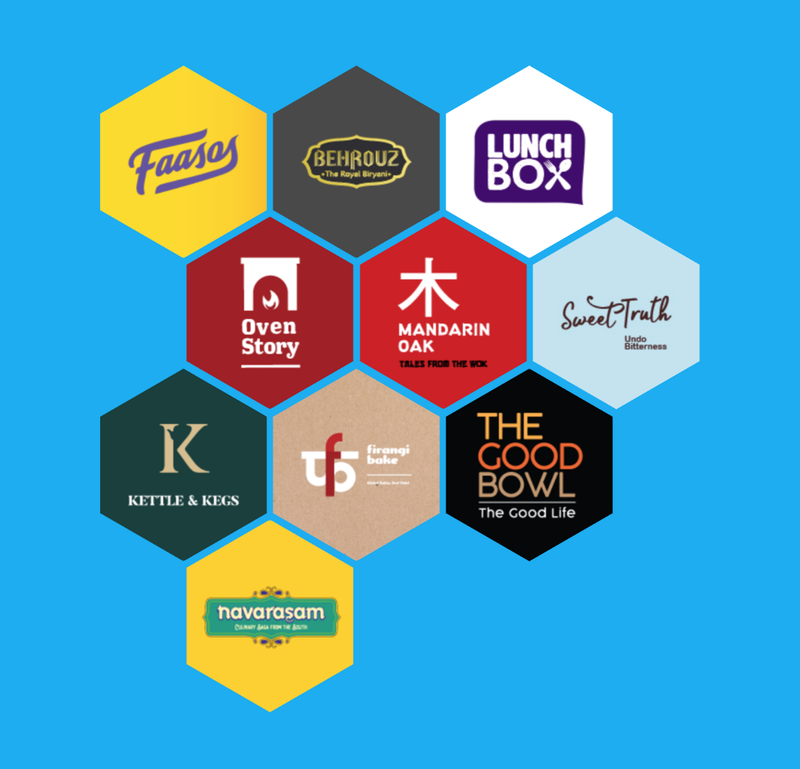 This is fundamentally the power of building what we popularly know as “cloud-kitchens” serving some of the most daring food brands on the internet. And, this is a designer’s story of how it happened for Behrouz at Rebel Foods. With delivery marketplaces leading the charge, it has become gradually easier for the Indian consumers to get the food to their doors. 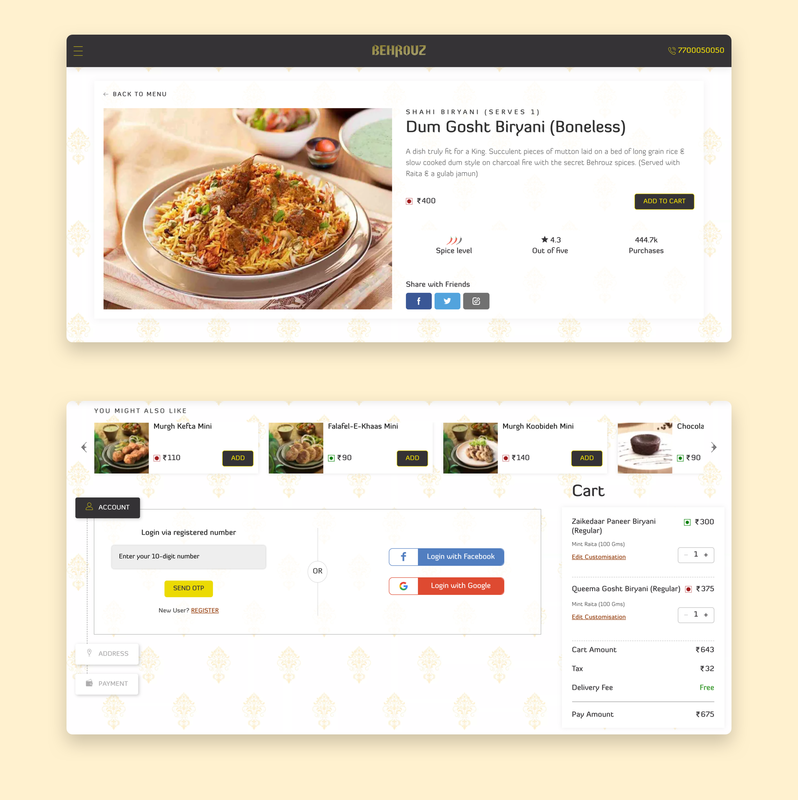 We started looking at the food trends (ordered and searched) and found specific patterns covering late-night ordering, takeaways and multi-national cuisines. While Pizza was amongst the top searched food item, Indian cuisines still outnumbered any other cuisine by a huge margin in terms of being ordered. Moreover, Biryani as a dish came out on top unanimously for consecutive multiple years amongst the most ordered and hence, we knew that something was “cooking”. (pun intended). Unlike Pizza, Biryani had always been a crowded un-organised market with many-many players battling it out at a local scale and there was an absence of an organised pan-Indian brand who would pledge to deliver the same quality and authenticity across the country. With a battle-tested and one-of-a-kind digital kitchen having our backs, we ventured out on a very audacious mission: to create a Biryani brand unlike never before. When you are building for the Indian consumer, it’s important that you identify your audience and build only for them to stand out of the crowd. In return, you will be gifted with fierce loyalty like nobody else which propels the brand further at a breakneck speed. Most biryani brands had always played on the segments of being inexpensive, being predictable, showing up fast etc. While all of these qualities are great and are absolutely necessary, these were not what would create an unforgettable experience for the consumer and hence build loyalty. As experience designers, we thought if we could create a brand which had a personality of its own. A brand which was aspirational and drew inspiration from larger-than-life fantasies and was something which was coveted. A brand where indulgence was a privilege, a finesse and not a chore. Now, this was a challenge where the brand is only digital with no dine-in presence to build that recall through ambience and other factors. What was a challenge, was also our biggest strength where the conceptualisation around what could be done digitally was limitless. 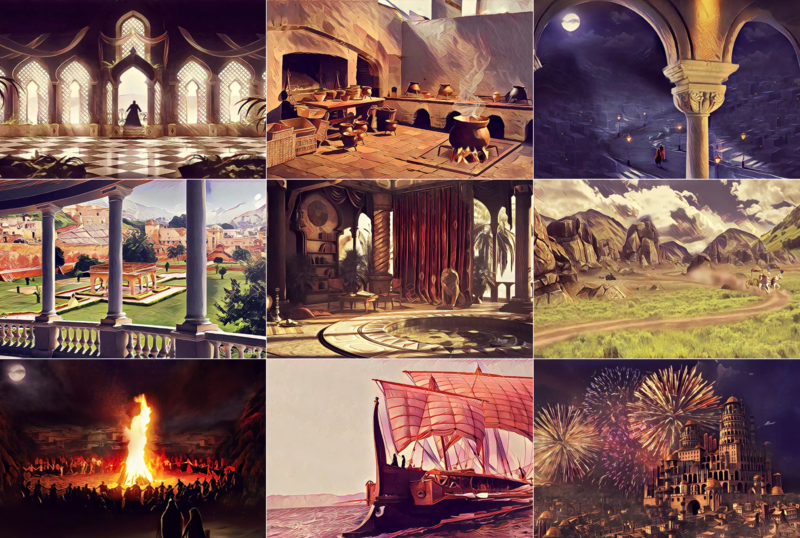 To create that sense of immense grandeur, we looked at our own past and the worlds of history and fiction alike. A Biryani that was worth a war! 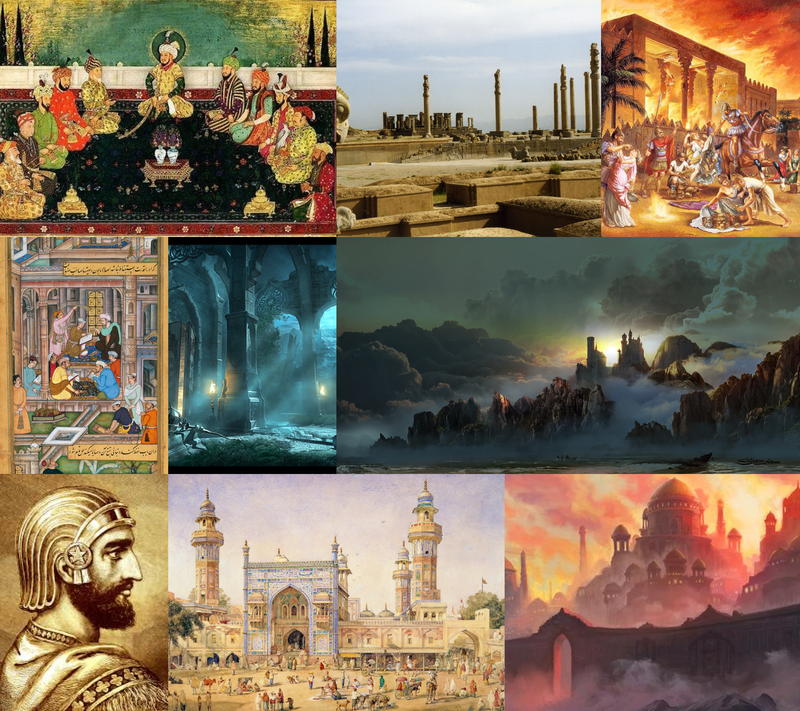 This story starts around 2000 years ago with a Kingdom called Behrouz rumoured to be located somewhere in Persia. It rose to popularity around the world for its recipe of layered rice and secret spices; A recipe that lured Kings and masses alike; A dish that we now know as Biryani. The recipe was lost forever when King Cyrus laid siege to Behrouz until it was discovered amongst the ruins. With this Biryani, we have brought back to life this lost recipe of Behrouz. To truly replicate this depth, the royalty and authenticity; the brand needed to feel real. The story and the characters needed to feel real. Hence it was paramount to make an impact at the very atomic level from brand campaigns to online experience to post order communications to packaging to customer care and then have it amplified across the nation through technology. 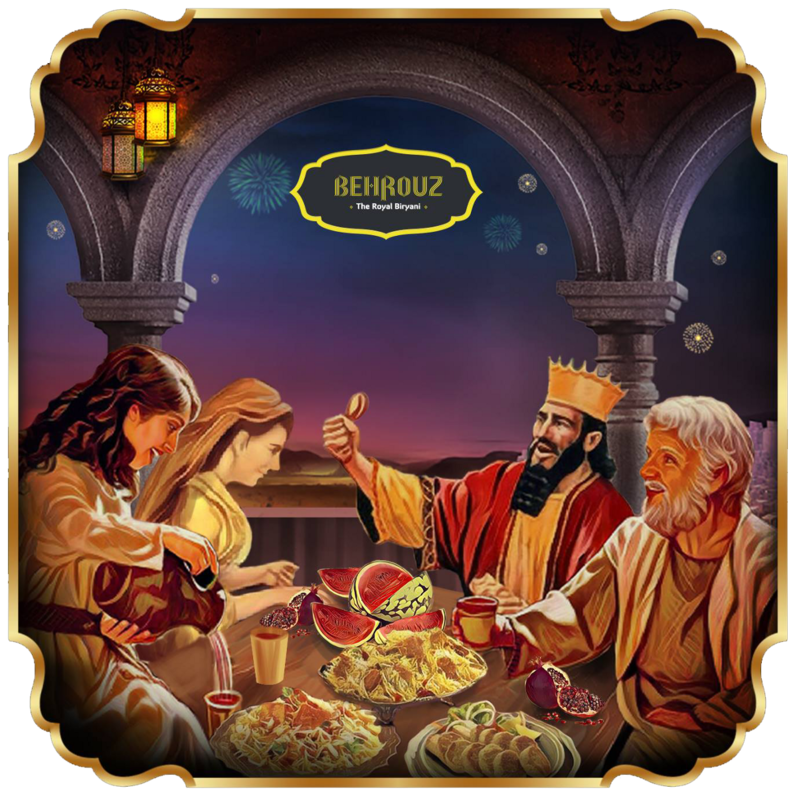 We started writing the history of Behrouz as an empire, starting building the characters and gave them intricate personalities while the story unfolded and established the epic saga where the Royal Biryani felt like the most important centrepiece of the entire plot. Collaborating with the content experts and writing the story of Behrouz, of the long lost Kingdom and it’s recipe of Rice, or the great wars between King Piruz and King Cyrus or the love affair between the Royal Chef’s son and the princess, seen as many as an impractical pursuit, was one of the most interesting exercises I have ever taken up as a design leader. For those who are interested to dig deeper, please do read it here ( The Story of Behrouz ). While the story had its own grandeur, the food still needed to stand on its own and was the main hero in all of this. We made sure that what was representing the food on digital mediums (apps and websites), was true to the royalty and the stature of the brand. Once we had a strong sense of consumers loving Behrouz, it was just a matter of time to scale it up. 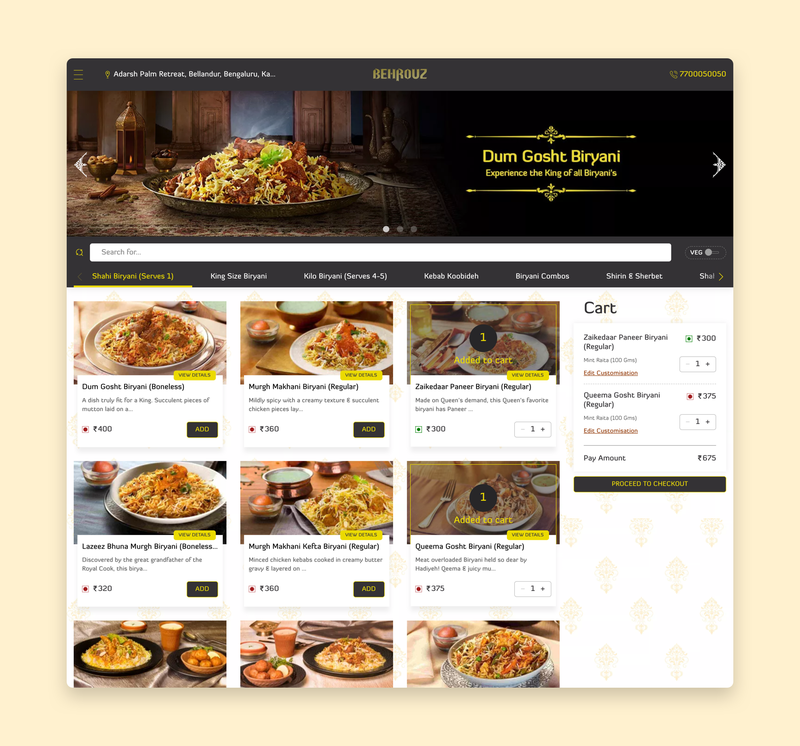 Behrouz Biryani was built nationally in 18 months from 0 to 150+ locations, riding on the network of existing cloud kitchens — today it’s the second largest biryani brand in India. The entire design, content, marketing, product and supply chain teams came together to make Behrouz the success it is today. This is a testament and true success story of what customer experience, storytelling and digital innovation can do towards building a massive brand out of thin air. Hopefully, it will spark ideas and inspire your creativity to create the next story within your brand.